For this week we have chosen five interesting facts to present, some of which are detailed in the newspaper archives, some might have been mentioned, or some are just so well imbedded in popular culture that just can't be overlooked. On the 21st of May, 1932, Amelia Earhart became the first woman to fly solo, non- stop across the Atlantic. Five years previously, Charles Lindberg had achieved the trans-Atlantic crossing from New York to Paris. Amelia Earhart left Harbour Grace, Newfoundland at 10:51pm (Irish time), Friday 20th of May, to her final destination, Paris. However, her flight was disrupted by a petrol leak and forced her to land in Ireland, “In a small field on the side of a hill overlooked by the Donegal Mountains, near Derry” (Irish Press, 23rd of May 1932) at 2 pm on Saturday. 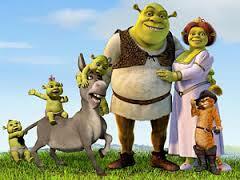 A family favourite, Shrek, was launched 14 years ago today! The friendliest and funniest green ogre has its own star on the Hollywood Walk of Fame! If you read the papers today you might have missed information about events which will help shape history. This week is marked by some tragic events which had a great impact on Irish history, music and motoring sports to name just a few. These are moments that made history. 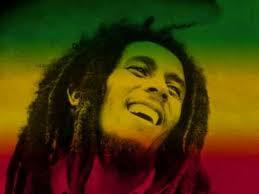 On May 11, 1981, Bob Marley, the reggae music icon and legend, died in Miami, Florida at 36 years of age. There have been many interesting events this week which have made a mark on Irish Theatre, on the transport system, nature programmes that we all love and the list can continue. Posted in this week in history	and tagged with yeats, irish theatre, english channel tunnel, lusitania, interesting events, interesting facts	by Phillip.